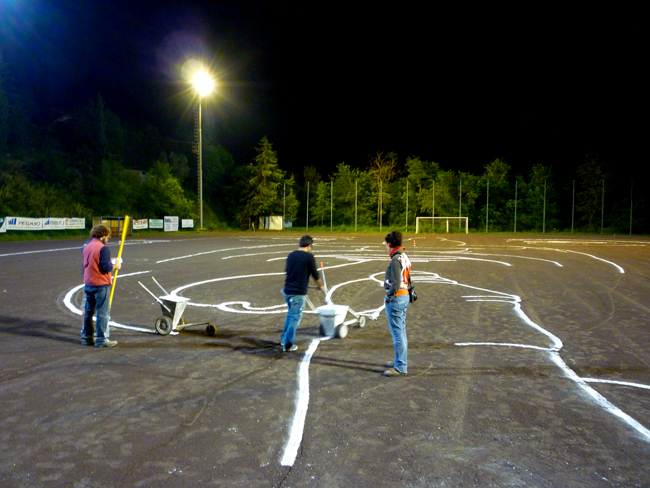 "Giocco Mostruoso / MONSTRUOUS GAME"
Site-specific drawing performance on the football pitch of Montopoli, Italy. 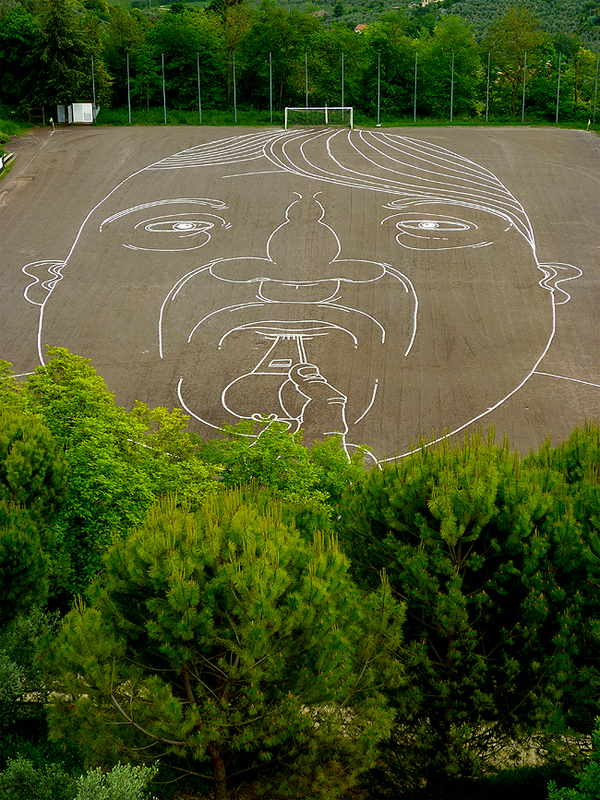 Huge drawing made with lime on a football field: The players will distort the face of a local referee (who just happens to look a lot like Hitler), without paying attention to its ever-changing shapes and limits, creating a monstrous and infinite portrait. 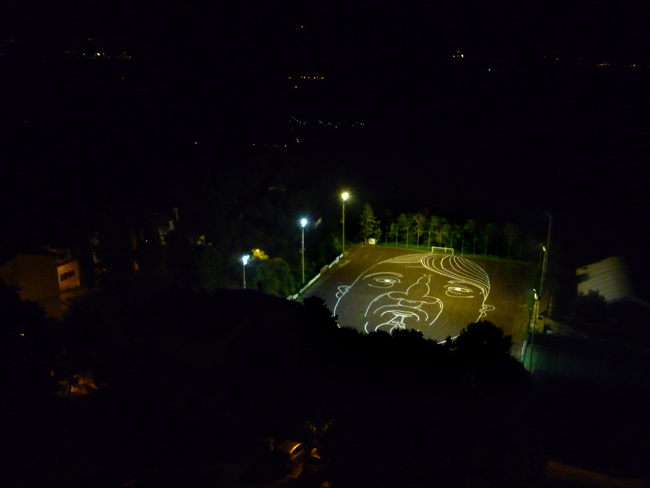 "Santiago Morilla proposes to have a game of football, a friendly match between mixed teams of artists, organizers and inhabitants. 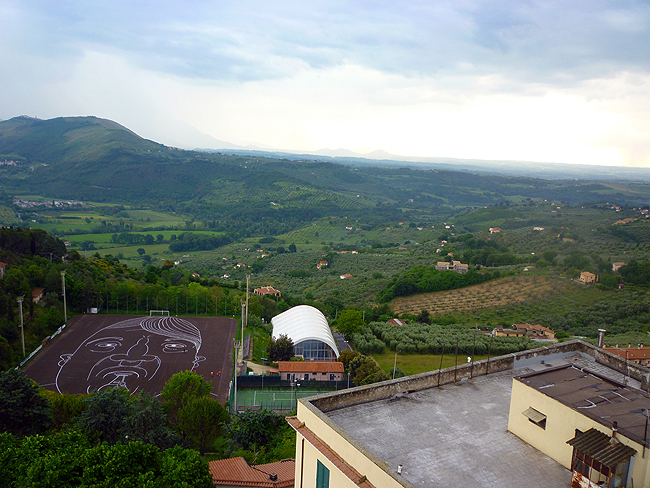 The game took place on Montopoli’s sports ground in the afternoon of the 19th of May 2010. 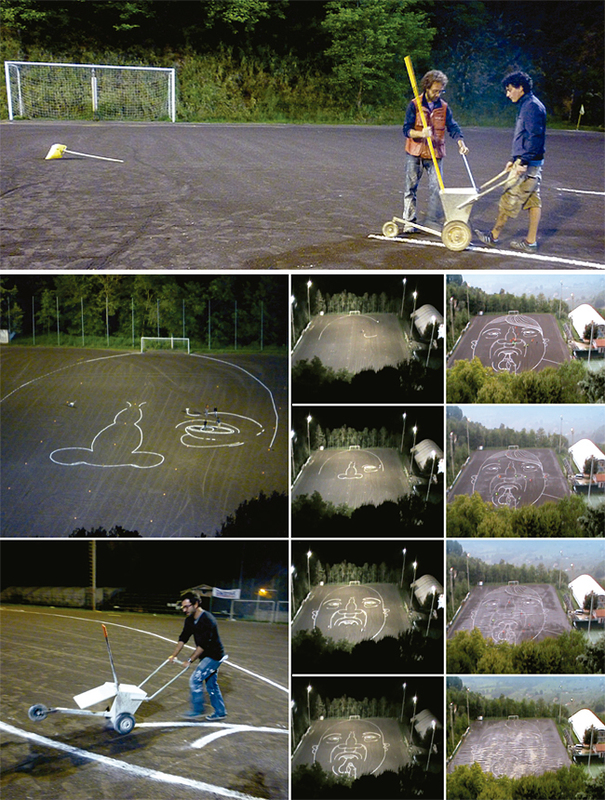 For this date, the artist had realized a chalk drawing on the pitch that will be visible only from above. 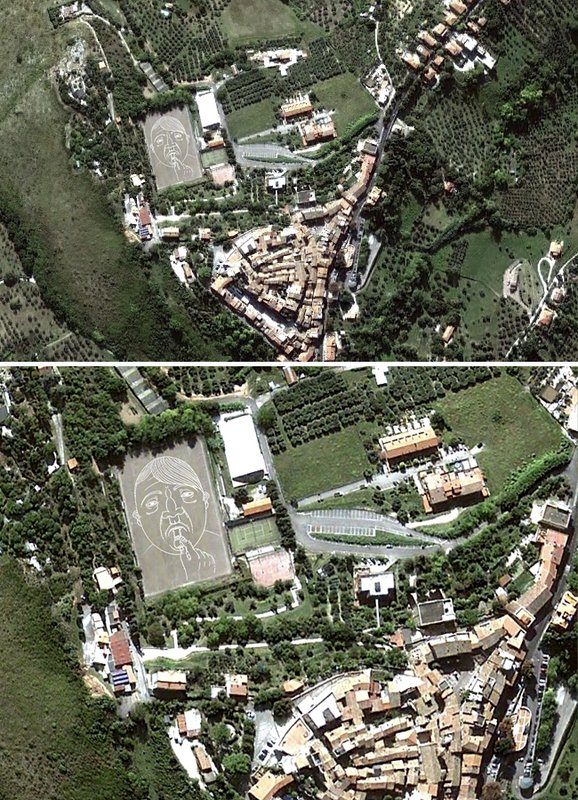 In fact, the match, and the drawing’s subsequent rubbing out, were recorded from above. 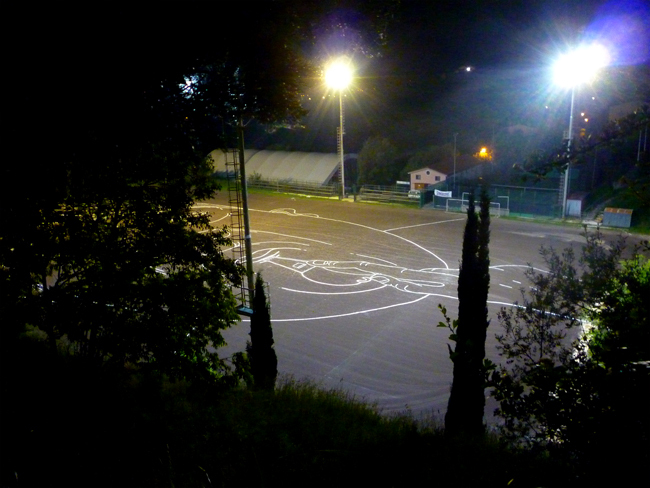 The artist, who often deals with contamination in his street art style, runs in “giocco mostruoso” a powerful reflection on the coexistence of the game and the standards, the mutual needs of both and a distant observation of the boundaries of the game.” (Lincoln Dexter) Art Curator and member of Agita Collective, London. 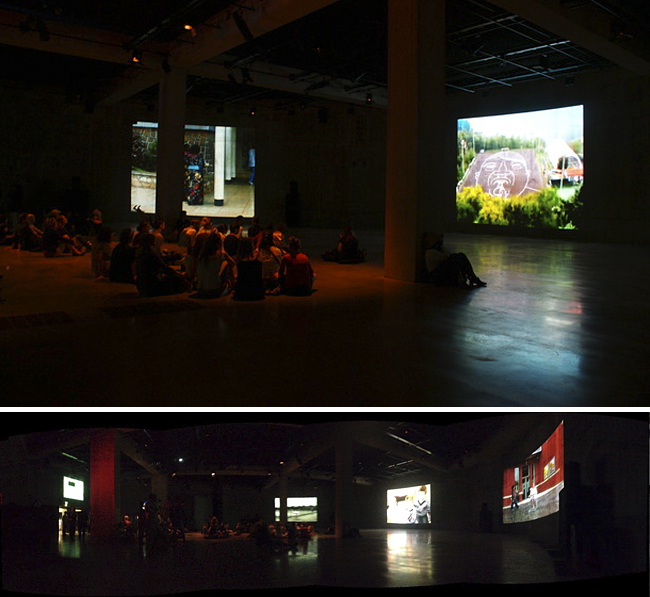 "Tweet me up exhibition": THE TANKS / Tate Modern, London.